A cement mixer driver has appeared at Northampton Magistrates’ Court charged with causing the death of a 74-year-old cyclist. Mike Bloom died six days after his bicycle was involved in a collision with a cement mixer on the A361 at the Aston-Le-Walls crossroads on June 30 last year. 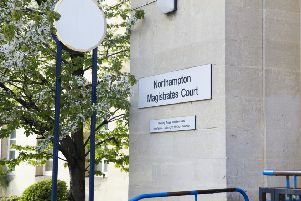 Vincent Taylor, aged 34, of Denford Road, Ringstead, appeared at Northampton Magistrates’ Court on Monday charged with causing death by dangerous driving. Magistrates sent the case to Northampton Crown Court for a plea and case management hearing in March.